Why You Must Be Extra Careful While Finalizing The Makeup Artist? FindItMore | Looking beautiful is a woman’s birthright. And if the occasion happens to be a function or her own wedding then she has all the right to have the best look no matter how much time it takes or money is spent on getting that perfect look which would indeed smile from her Facebook post or for that matter any picture that is taken on that day. The point is looks are everything when it comes to a wedding party or otherwise but many women make the most common mistake of choosing the costliest makeup artist or the person who has made himself a brand so that she is assured of the best look. This is indeed not the case when it comes to makeup it may work for your wedding decoration but not for your face. The reason is every makeup artist has his or her own style which he just cannot let go. Suppose you are looking for a decent cute look and get the makeup done by a makeup artist in Delhi who is known for loud make- extra Kajal, dark lipstick accented eyebrows and what have you. You end up looking someone else and very uncomfortable as this is not what you had bargained for. When you present yourself no one sees the brand behind that look or for that matter the money you spent on that look. If it is good you get appreciation and if not well no one says it on your face but you get to know it anyway. 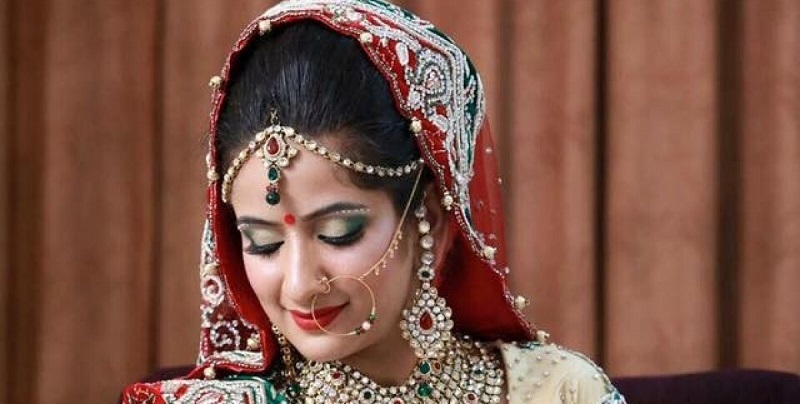 Inspect Makeup Techniques – An bridal makeup artist in India is a specialist who has his portfolio on the internet which you can inspect and make an opinion. If he is close to your desired look then talk to him and finalize the modalities and ask him to give you that crisp look you idolize. Help him know your taste by giving him some reference – a Bollywood star, a picture of your friend or anything that reflects your taste. Always insist on a trial run it is your right and your best chance to avoid any last minute surprises. You can get the paid trial by paying some part of your bridal makeup money. Worst case scenario, you can still reject the makeup artist after the trial. Ask him to reveal his makeup he would be using. This is important and a big factor in deciding the costing. High-quality products are always a good idea. Last but not the least pay him some advance and book him with a written contract. This would put some pressure on him and ensure you get the best deal.